Having only returned from Chicago this week it was a quiet week exercise wise for me (Helen). 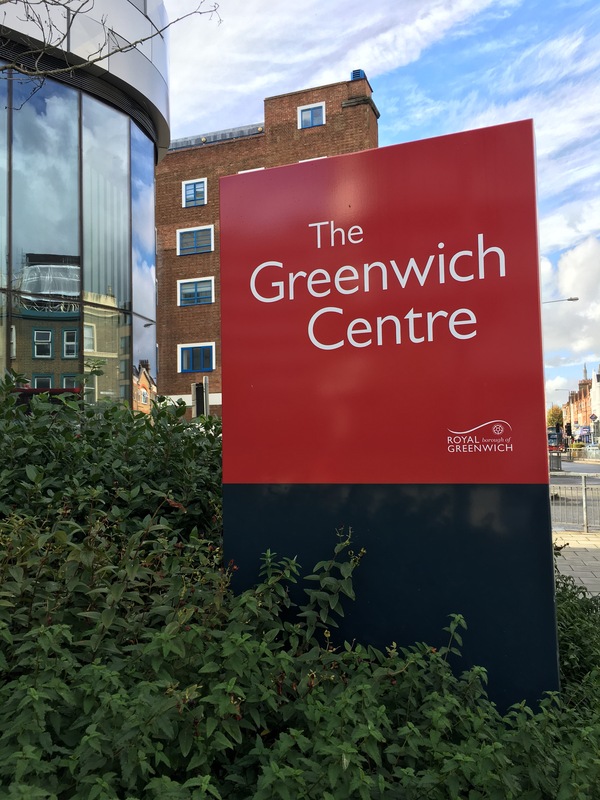 On Sunday I headed to The Greenwich Centre for a Speedo Dive In session. 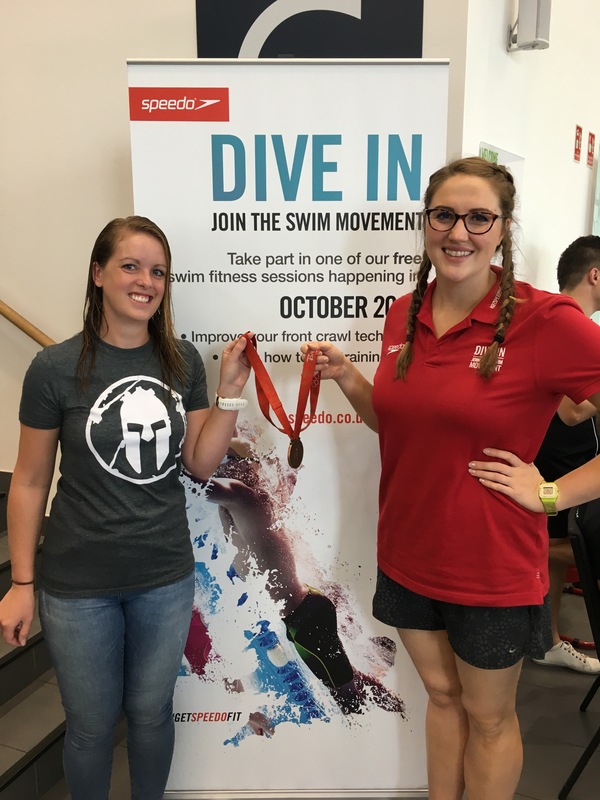 Speedo UK are offering 10,000 free adult swimming lessons as part of their ‘Dive In’ initiative. These sessions are taking place nationwide, coached by qualified instructors and professional swimmers they help participants to improve their front crawl technique by breaking down the stroke and working on a number of elements: head positioning, kick, and catch and pull technique. The closest centre to me was the Greenwich Centre and I had booked a place for 10.30am on Sunday, Adam had also booked onto a session so we headed there together. We arrived about 20minutes before the session, filled in a quick registration form and headed to the poolside. There were about 35people taking part in the session and after a quick explanation as to the format of the session we were asked to get into a suitable lane: beginner, intermediate or advanced. This caused a few moments of people hovering at the poolside not wanting to categorise themselves incorrectly but Adam and I popped into the advanced lane and soon we were doing a gentle warm up whilst the coaches assessed our swim technique. The first thing we worked on was the catch technique. After a few lengths of working on general arm entry position We were given some tiny finger paddles, iv never used these before. At this point Olympic Bronze Medalist Cassie Patten came over to instruct our group and offer some advice as to how to use them. She explained that the paddles provide a lot of feedback as to arm entry position and suggested we should imagine we were posting our fingers into a letterbox as we entered the water, this keeps the fingers flat and sets you up for the catch. This is a bit different to the rotated thumb entry technique I was taught when I was younger but makes a lot of sense as then your hand is positioned correctly to pull straight back in the catch. We then worked briefly with some larger hand paddles before moving on to working on the kick. It’s been a long time since i have swum with a float!! But kick board in hand we did a few lengths working on keeping legs long and relaxed using the full length of your legs to kick rather than splashing from the knee. Soon it was time to add all the techniques together and swim a few lengths of using on all the different elements. It definitely felt smoother! I would highly recommend taking part in a Speedo Dive In session regardless of your level of swimming competency. The instructors were all friendly and knowledgable with most being current or ex international swimmers, and of course the chance to chat to an Olympic swimmer was pretty cool too! Cassie was lovely and hung around after the session to answer questions and take pictures, even letting people hold the bronze medal she won in Beijing! Due to a shoulder injury Cassie is now retired from international swimming but she offers swimming coaching sessions and her website also has lots of helpful tips. Thanks to Speedo UK and Cassie I now have lots of things to work on in the pool, then I just need to try and transfer those skills to the open water ready for the next triathlon season! Easier said than done I think?